Hello to all my fellow beauty junkies out there! I’m In Son (over at keiyoko.blogspot.com) and I have the pleasure of providing a guest review for The Makeup Rebel! 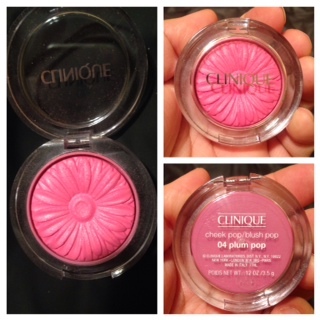 Since it’s Spring (unless you live in Ohio like me), I figured the perfect review would be for Clinique’s recently launched Cheek Pop blushes. These beauties are bright, vibrant, and will flatter all skin tones! The packaging is also lovely, nothing prettier than a flower—I almost didn’t want to touch them at first (FYI even after multiple uses the flower shape looks exactly the same). I have not used Clinique makeup since my college days, so I was excited to give these a try. 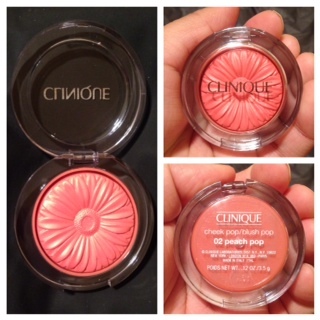 Clinique describes these blushes as providing “vibrant yet natural-looking cheek colour that looks virtually powderless.” I am a sucker for all things peach, coral, and warm, so when I saw these promoted at Sephora I had to get the Peach Pop. And since I needed to spend more to get a reward (yes, needed, lol), I picked up the Plum Pop as well. When these arrived, I swatched them and the colors were so pretty, so a week or so later I purchased the Ginger Pop and Berry Pop. These retail for $21 each, cheaper than Nars and Tarte but more expensive than NYX or CoverGirl. 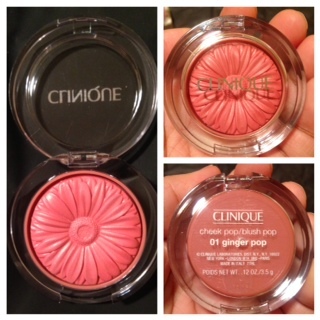 Ginger Pop (01)- Ginger Pop is a beautiful deep, ruddy coral blush that reminds me of the color of clay. In the summer, on tanned and deep skin Ginger Pop is going to be divine!! Some may even use in place of highlighter. It also has a nice soft sheen to it that illuminates the blush once it’s applied. 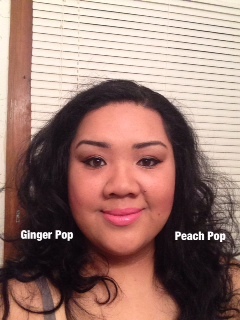 Peach Pop (02)- Peach Pop is a gorgeous warm coral blush with slight pink undertones. It also has a nice soft sheen to it that illuminates the blush once it’s applied. 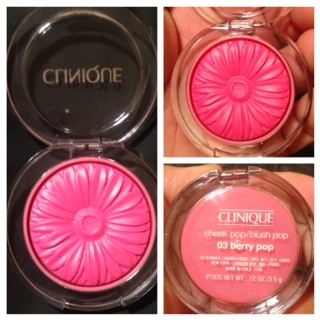 Berry Pop (03)- Berry Pop is a bright deep pink blush that runs cool. It too has a nice sheen (think Hourglass Ambient Lighting Powder, not glittery). Plum Pop (04)- Plum Pop is a lighter pink with slight purple undertones that also runs cool. 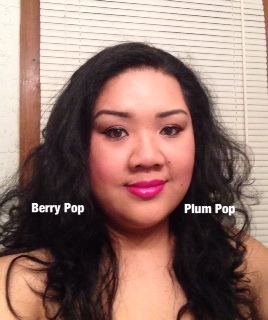 This color would work best for pale to light skintones, as Berry Pop might be too harsh on really fair skin. It too has a nice sheen (think Hourglass Ambient Lighting Powder, not glittery). All four blushes performed the same for me as far as quality. The blushes are highly pigmented, long lasting, smooth, vibrant and extremely flattering. I’ve worn each blush throughout the workday without needing a touch up or causing any dry patches or oil build up. No blush outperformed the other, which is good news in the makeup world. There is nothing more disappointing than purchasing an item in one shade, going back for another, only to find that it’s horrible (like the Hourglass blushes). I used my Real Techniques blush brush and had no problem with application (or fallout during application). Anywho, the blush is a creamy powder (if that makes sense?) and easily buildable. By creamy powder, I would expect that if you were to shatter this blush, it wouldn’t crack into a million dust particles…I’d expect that it would be dense, and break into large clumps. You can apply as little or as much or as little as you like for the perfect wash of color or for a dramatic look, without having any “cakeface”. What I love most is that since the colors are nicely pigmented, I found that I used less product than my other blushes (which means more bang for your buck). Since my skin is tan in color, some warm blushes do not show up on me at all, no matter how nice they look in the pan. Again, these will flatter women of all skin tones. I believe these may be limited edition, but they are fully stocked and available online at Clinique, Sephora, Macy’s and Nordstrom. 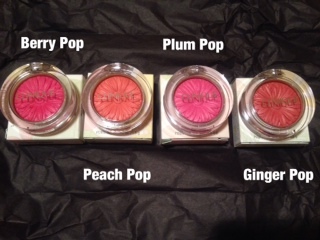 If you are interested in purchasing but don’t want to purchase four blushes that you may or may not use, I would suggest getting one of the pink/cool blushes (Berry Pop, Plum Pop) and one of the coral/warm blushes (Ginger Pop, Peach Pop). The shades in both categories are similar and you may not need both. 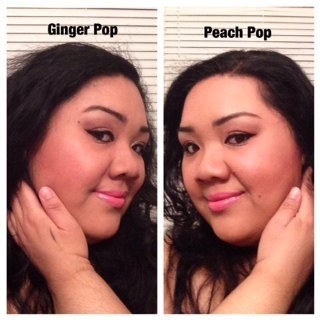 I actually started by purchasing Plum Pop and Peach Pop, then broke down after trying them and bought Berry Pop and Ginger Pop….and I’m so glad that I did! 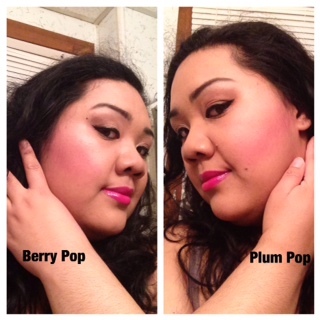 Keep in mind that Berry Pop is the boldest, brightest shade of them all. If you are not into blush or want something more subtle, it might be the shade you decide to pass on purchasing. Seriously, you have to AT LEAST BUY ONE!!! 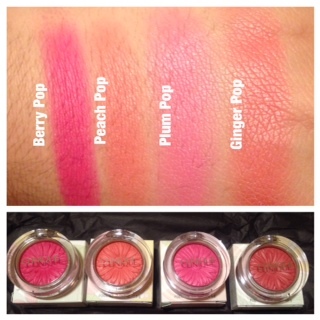 I am honestly sooooo impressed with these blushes and it makes me want to give some of Clinique’s other products a try! I hope you guys enjoy these if you’re able to get your hands on any!! Seriously, you have to AT LEAST BUY ONE!!! P.S.-I used a heavy hand with the blush so that it would show through well in the pictures…don’t worry I don’t always wear it like this, promise. P.P.S.-On my lips in the photos are MAC’s Hoop lipstick and MAC’s Pink Poodle lipstick. Awesome review. I may give Clinique a try. I too haven’t worn in in ages. Neither had I until I picked one of these blushes up. I think Clinique was super popular when we were all growing up or in high school/college. That was, in the past, the extent of my Clinique makeup wear. Not anymore…I’m going to keep my eyes open for Clinique goodies…and it’s better priced than some of the higher end brands! Follow The Makeup Rebel on Instagram! Follow The Makeup Rebel on Twitter!